The first thing that you have to do is to make sure that you go over the terms and conditions of the contract you have with a company. 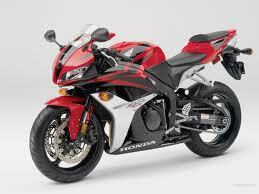 This includes the insurance in case any loss or damages happen to any parts of your motorcycle. Check all the parts of your bike before the Move Interstate so that when you check it again afterwards, you will know whose fault the damages are. In case anything does happen, the company should be liable for it and pay for the damage incurred. There’s always the option of letting your personal insurance company to handle the transaction if you don’t trust the movers’ insurance policy.